Swindlers might hide vehicle defects and forge documents to deceive you. Don’t be a victim of vehicle frauds. With Minnesota License Plate Lookup, you will be able to check the vehicle history of a Minnesota car. The Minnesota Department of Public Safety can offer access to public vehicle records associated with Minnesota license plates if requested. If you have inquiries, you may contact at (651) 297-3298 for driver services and (651) 297-2126 for vehicle services. For further assistance, visit the Contact page. Car owners must register their vehicles within 60 days of establishing residency. For non-residents who bought a vehicle in Minnesota, they may acquire a 31-day temporary permit to transport their new vehicles into their home states. As for residents who bought a car from Minnesota dealers, they will be provided a 21-day temporary permit while waiting for their license plates to arrive. Upon payment of registration tax, a 60-day temporary permit may be issued to a special license plate applicant whose registration is either expired or near expired. The Minnesota Department of Public Safety requires a serial format containing three letters and three numbers on each plate to be present. They also require two license plates for each vehicle, one for the bumper and another for the rear. As an exception, the single license plate rule may apply to older cars (1972 and earlier) if certain requirements are met. Fill out the application form to get a duplicate/replacement license plate or sticker. There are ten (10) types of plate that might be chosen for your vehicle. Take note of the requirements for each plate based on its description. Transferring a special license plate from one vehicle to another costs $10 per transaction. Apply for a vehicle title by sending a completed title application form to a certified titling office, or by mailing it to the address specified on the form. Look for the available offices near your location when applying. A vehicle title can be transferred to another person, upon the sale’s completion or through a voluntary offering. If you have purchased your car from a dealer, they will usually handle the paperwork for you. For private sales, you need to cooperate with the seller in processing a title transfer. A replacement copy for damaged or missing titles can be requested upon completing the request form. Ensure the accuracy of the details provided to prevent your request from being rejected. To know the corresponding fees and procedures of title duplicates, check out the state’s Duplicate Title page. For vehicles with an existing lien, it can be released if the lienholder has provided a lien notification card or a completed lien release form, either of which requires his or her signature. If you want to know more about vehicle liens in the state, read the content of the government’s page concerning liens. Email dvs.motor.vehicles@state.mn.us to learn about your car’s title status as well as other information that is currently unavailable on the Official Minnesota Department of Public Safety website. Buying a used car in Minnesota? Don’t make a costly mistake. 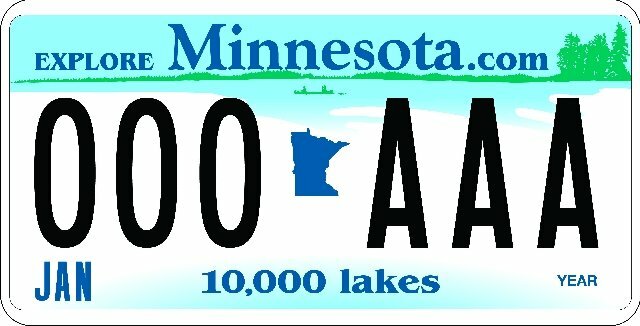 Run a Free License Plate Lookup for your Minnesota-registered vehicle! Run a Free Minnesota License Plate Lookup to uncover the full-story of your Minnesota-registered vehicle.